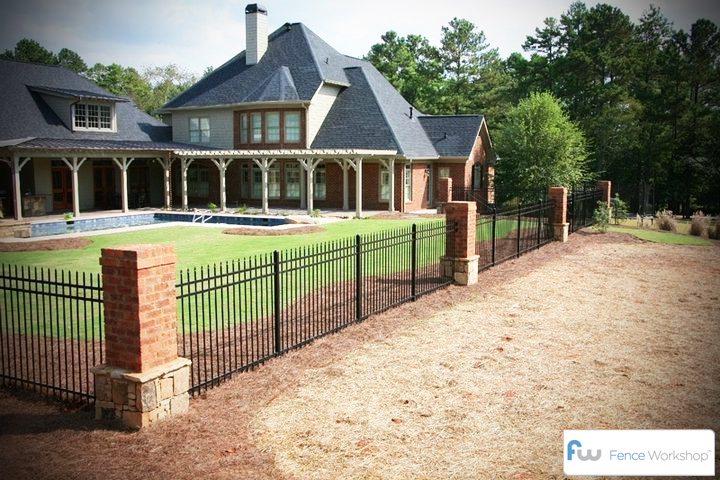 Looking for the right ornamental metal fence for your home or business in Atlanta? At Fence Workshop™, supply a wide range of residential and commercial ornamental metal fences and gates. In Atlanta, our Ameristar™ Montage steel fences are most popular amongst our customers followed by our Echelon aluminum fences. We most commonly supply our Ameristar™ steel and aluminum fence panels for both new and old homes. Ornamental metal fence panels is easily customized with different size and shape options as well as inserts and additions like rings, scrolls and finials. From our local Atlanta fence workshop, we can ship all of our fencing directly to your doorstep to get your fence project moving quickly. So if you’re looking for the right ornamental metal fence supply in Atlanta, we want to be your go-to company!